Good evening my peeps, new peeps, and anyone lurking! Just kidding. LOL. It’s Friday, so of course it means I’m cooking for tonight, and cooking the Saturday Shabbat Special. Now, as you guys read in the last post I made, I made dinner for Friday, prepped Saturday’s dinner, and made a dessert for the next two nights. This shall be no different. As I make this lifestyle change, it actually works out for the better for me, especially with this move and such, having extra time to relax and woosah is a good thing. This week is a new dish, not something I normally make, but really sounded good, and can go into the crockpot. I’m always thinking of ways to make chicken different, because just like ground turkey, chicken can get bland and the same old stuff can get boring. This dish is not only different, but can be made with pasta or rice, with a salad. In this case, I went with pasta because my kids aren’t really fans of rice unless in chinese food. 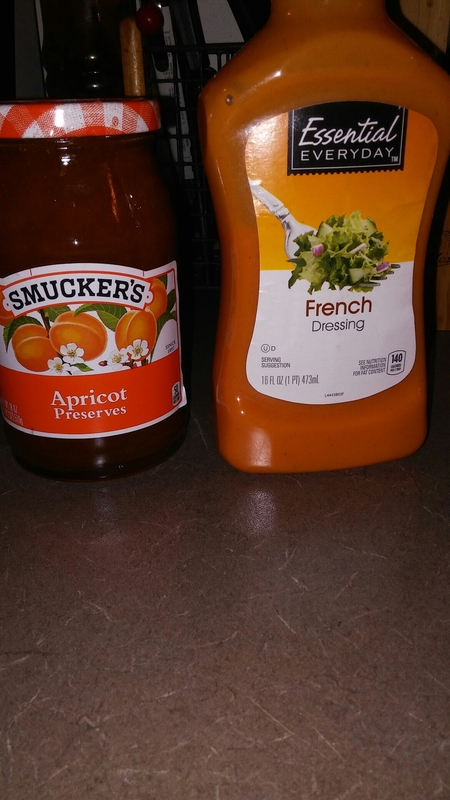 In a bowl, mix French dressing, apricot jam, and some of the apricot juice from the cans. 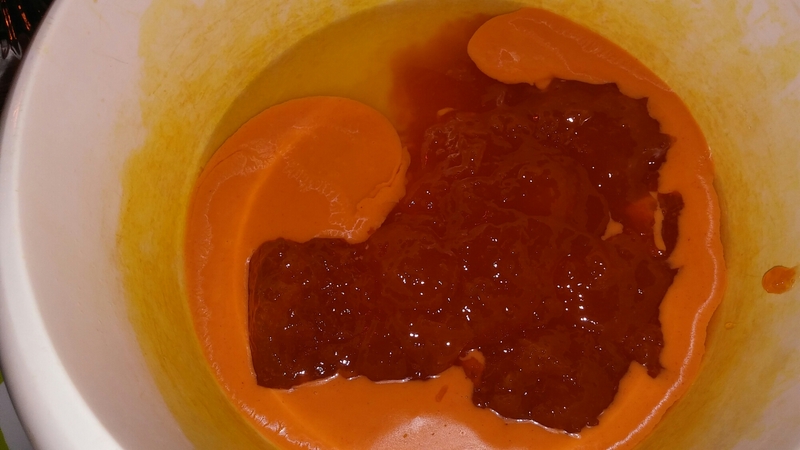 Whisk together, and make into a sauce. 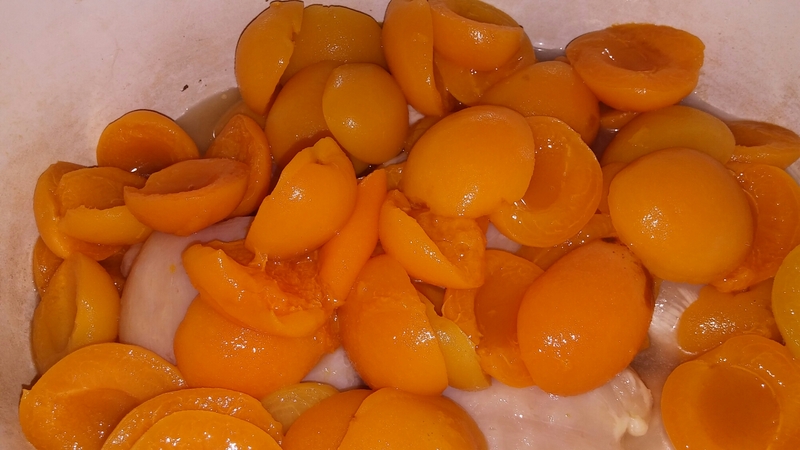 Layer the boneless chicken, and apricots into the crock pot. 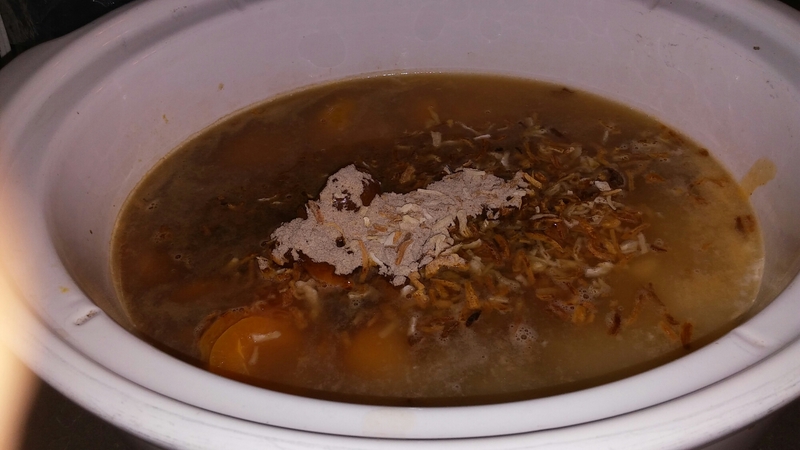 Pour the chicken broth and mix into the crock pot on low for 8 hours or high for 4 hours. Cook pasta or rice as directed and serve the chicken over the pasta/rice. Real easy. Easy clean up. More time to spend with the kids. I did the cake the night before, so again, we are all ready to go for the weekend. Try it out and let me know what you think of the dish! Until Next Friday/Saturday, have a blessed stress free weekend! Previous Post Girls Night Out Last Hoorah! : Mardi Gras……and I almost burnt the cake. Next Post How To Do You Without Going Into The Soup Line.